One of the premier services that we offer at Aesthetic & Dermatology Center is the opportunity to have access to the most recent advancements in dermatological treatments. We pride ourselves on providing high-quality, innovative care to all of our patients, and clinical trials afford us and our patients the opportunity to get in on the ground floor of the latest revolutionary treatments.Here is where we’ll post our open dermatology clinical trials. If you’re interested in participating in a clinical trial, call our office today at (301) 610-0663 to determine whether or not you are eligible for our current trials. We’re currently running a clinical trial for moderate to severe plaque psoriasis. 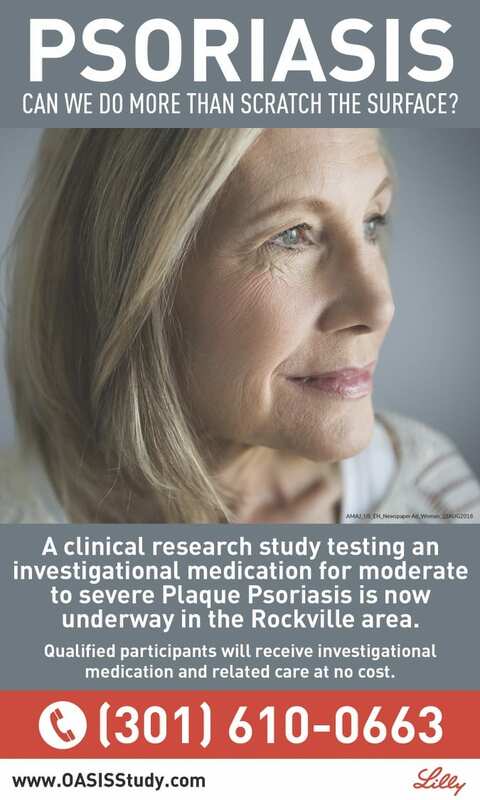 If you are suffering from plaque psoriasis, contact us today at (301) 610-0663 to see if you’re eligible for our new clinical trial. You don’t have to live with moderate to severe plaque psoriasis. You could be on the leading edge of treatment! Ready for relief? Do you suffer from acne? We are currently enrolling in a clinical trial for a new topical acne cream. Participants must be at least 9 years old, have acne, and be in good overall health. You do not need health insurance, and you may be compensated for your time and travel. 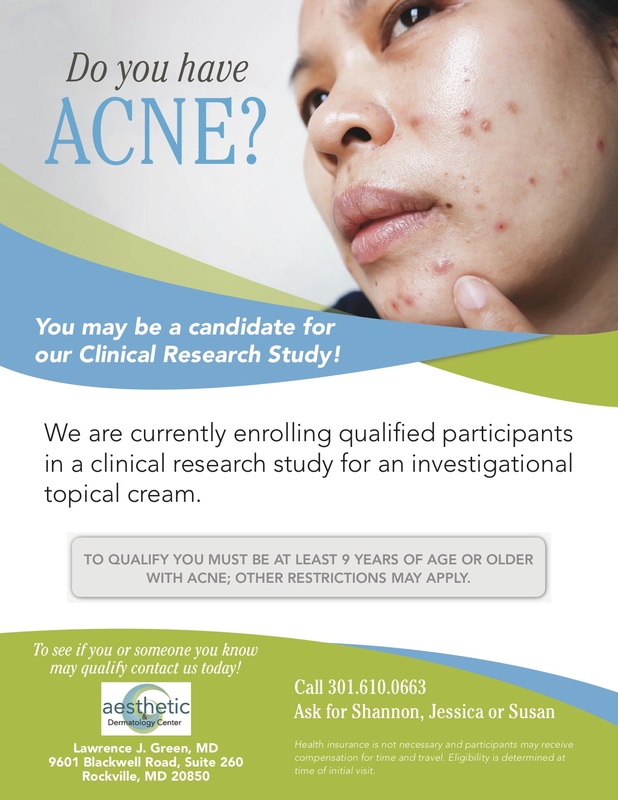 To be on the forefront of acne treatment research, call our clinical trials department today! Interested in participating in one of our Clinical Trials? Fill out the form below and we’ll contact you with more details.